If you usually send gifts of wine or hampers to your favourite customers at Christmas, we’d like you to consider sending them some beautiful, contemporary stationery instead. 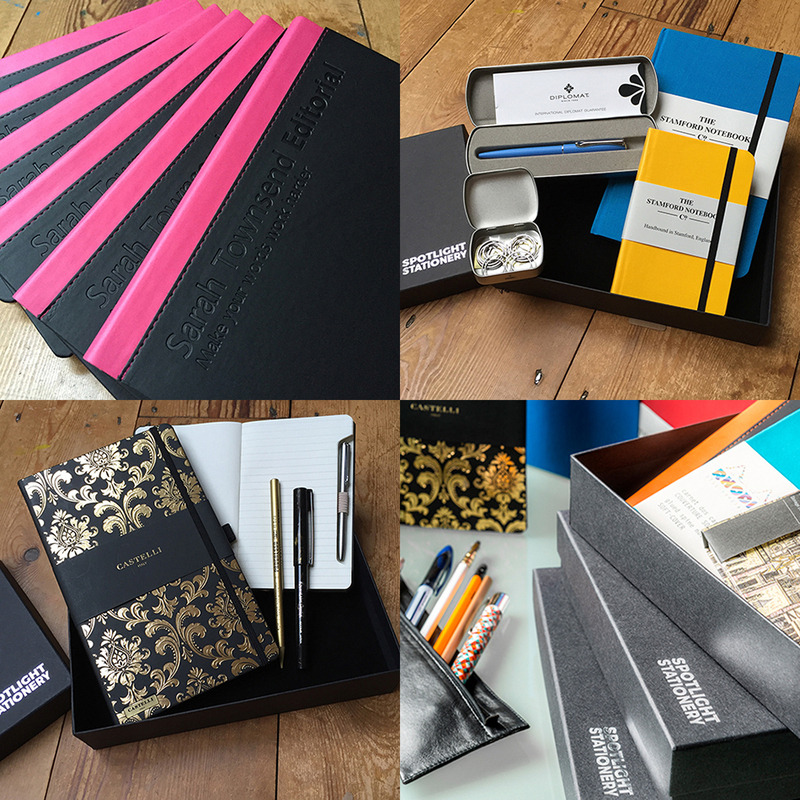 This could be anything from a single pen or notebook to a curated collection, beautifully packaged and tailored to suit your taste and budget. It’s gender neutral – everyone loves stationery! The minimum order quantity is… one! Branding options are available for larger quantities. We’d be delighted to show you a wide range of products from premium brands such as Castelli and Diplomat and also less well known artisans.